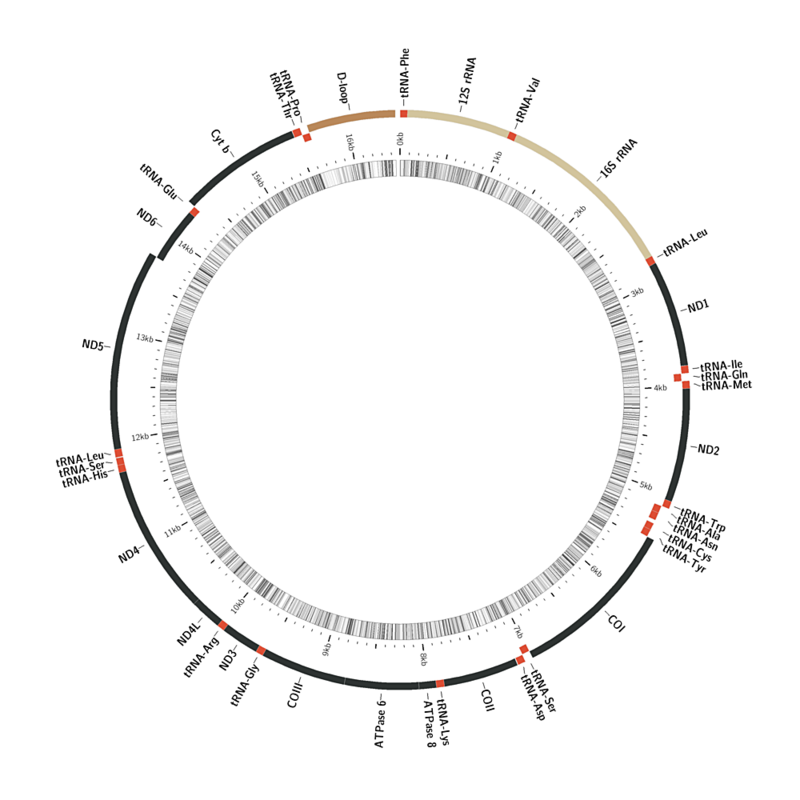 Yamanoue, Y., Miya, M., Doi, H., Mabuchi, K., Sakai, H., Nishida, M.
You can download standardized annotation of the Lagocephalus laevigatus mitogenomic sequence via the links below. For details about our automatic annotation engine, refer to MitoAnnotator. The annotation file can be directly used for sequence data submission	via DDBJ Nucleotide Sequence Submission System. 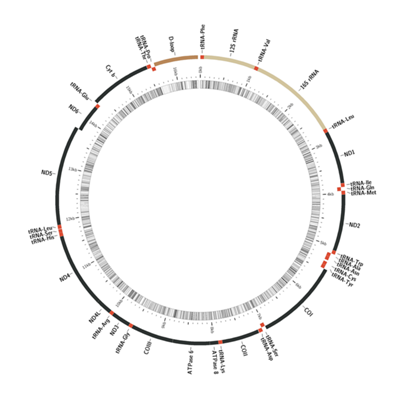 The image on the right side is a visual representation of the mitogenome created by Circos. The innermost circle represents GC% per every 5bp of the mitogenome; the darker lines are, the higher their GC% are. Copyright © Atmosphere and Ocean Research Institute, the University of Tokyo, Japan.